NBR seals,optional Viton or EPDM sealing. 2/2 way normally closed quick response. 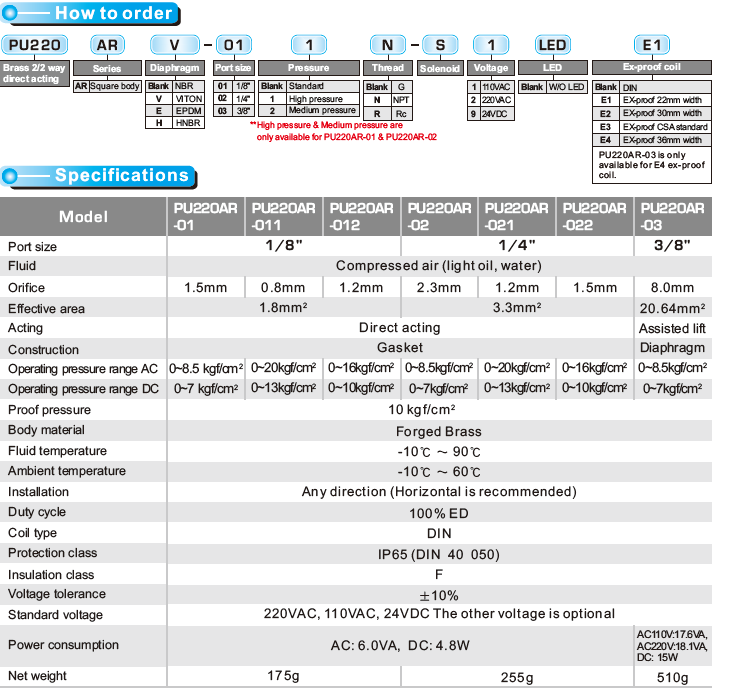 Pressure AC 0 to 20 bar / DC 0 to 13 bar depending on orifice, pressure tested to 30 bar. Direct acting 1/8, 1/4 and assisted lift 3/8". 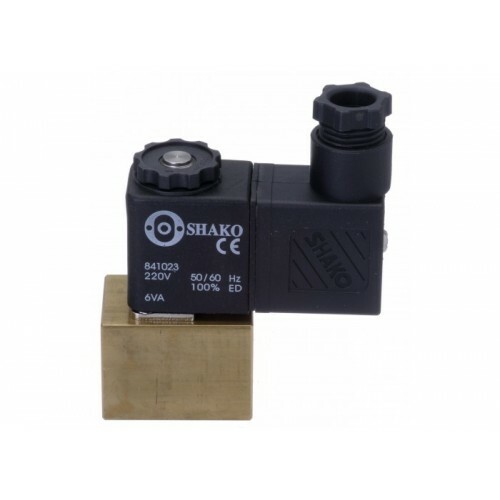 Compact miniature 2 way solenoid valve. Temperature media -10C to +90C, ambient -10C to +60C. Coil class F, DIN43650B or flying lead wire 100% duty rated, option ATEX EExmIIT4 coil. Brass body with stainless steel internals extend valve valve. NBR seals suited for air, water, neutral gases and mineral oils - Viton seals fuel oil, gasoline, hi-test gasoline, diesel fuel - EPDM hot water and liquid detergents.